Chris Carlsson is co-director of the multimedia history project Shaping San Francisco (historical archive at FOUNDSF.ORG), is a writer, publisher, editor, and community organizer. He has written two books, After the Deluge and Nowtopia. Bill Issel is professor of history emeritus at San Francisco State University and visiting professor of history at Mills College. 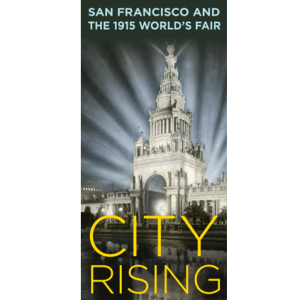 He is co-author of San Francisco, 1865-1932: Politics, Power and Urban Development (1986) and author of Church and State in the City: Catholics and Politics in 20th Century San Francisco. (2013). Barbara Berglund is the Historian for the Presidio Trust. She wrote Making San Francisco American: Cultural Frontiers in the American West. Susan Englander is on the faculty of San Francisco State University (SFSU) and currently teaches California history and the US History survey. 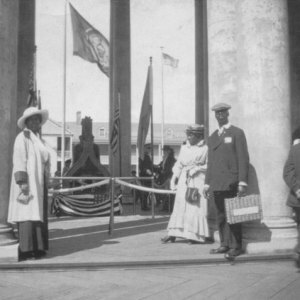 She is the author of “‘We Want the Ballot for Very Different Reasons:’ Clubwomen, Union Women, and the Internal Politics of the Suffrage Movement, 1896-1911″ in California Women and Politics: From the Gold Rush to the New Deal. Lincoln: University of Nebraska Press (2011). 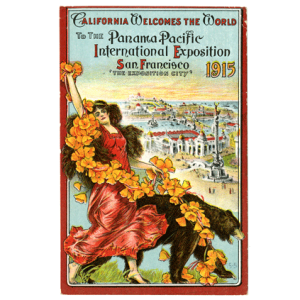 Panelists Abigail Markwyn, Sarah J. Moore, and Jessica Ellen Sewell will examine the complicated politics around women and gender in 1915 San Francisco and at the Panama-Pacific International Exposition.